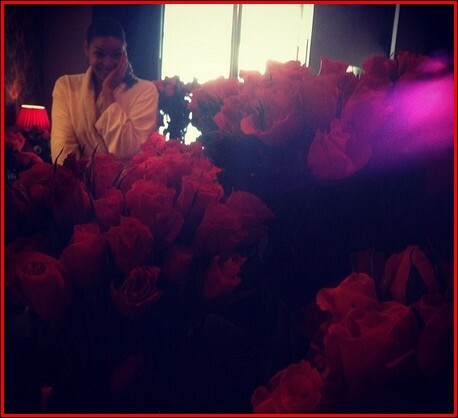 Kim Kardashian And Jordin Sparks Showered With Roses - Fans Reacted! Kim Kardashian And Jordin Sparks Showered With Roses – See How Differently Their Fans Reacted! War of the roses? 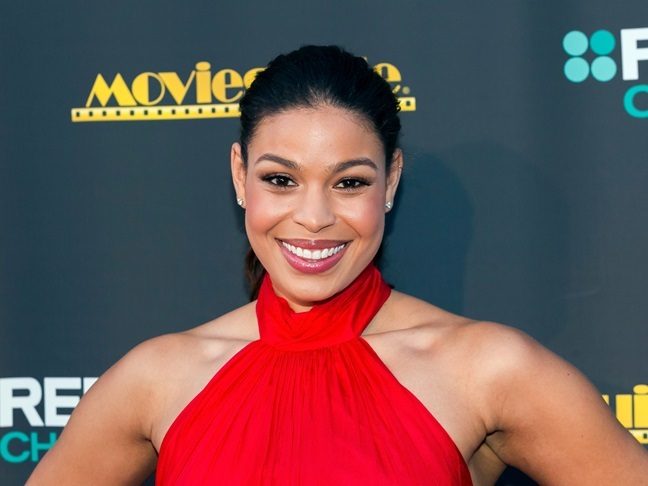 Jordin Sparks and Kim Kardashian had a lot in common when it came to their Valentine's Day gifts from their significant others yesterday. Both women took to Instagram to show off the crazy amount of roses they received! But what's interesting about it is how their fans reacted – in completely opposite ways! 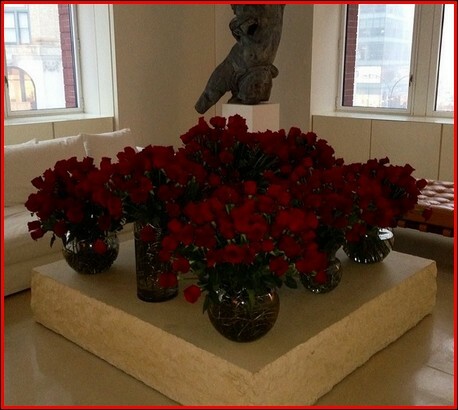 Kim took to Twitter to gush over the 1,000 roses Kanye West sent to her yesterday. She showed off two photos of the huge arrangements – and her basking in the moment. Immediately Kim was met with hostile messages about the waste of money and how it could have better served those in need. One follower wrote, "This makes me so f*****g angry. What a WASTE. How many starving children could have had a meal with the money spent here? Your life of excess is DISGUSTING and you have zero idea how 99.9% of people in this world really live. You should be ashamed. Anyone who gets at me saying I am jealous – of course! Who wouldn't love that kind of money?? But I sure as **** wouldn't spend it on such self-indulgent GARBAGE." And yet another said, "Even if I had that much money, I wouldn't spend it on that many stupid flowers. I can only hope that they spend just as much -if not more- on charity or helping those in need. And kimk doesn't work for s***. She got her $ with her looks. That's not hard work, she just got lucky." Kim did have a few defenders who thought she and Kanye shouldn't have to deal with the haters and should spend the money however they feel like. "If he's got the money to waste he might as well waste it making someone smile… #quitbeingjealous". Jordin's fiance Jason Derulo went above and beyond what Kanye did. 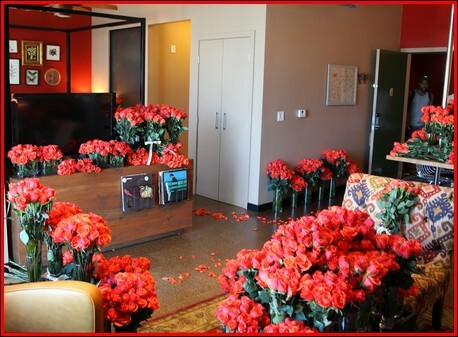 Jason sent Jordin TEN THOUSAND roses. Yes 10,000! But Jordin's fans thought it was crazy romantic! Her fans wrote sweet messages like "holy crap, that's crazy. Im totally jealous." And "you guys are killing me with cuteness!" No nasty comments about charity or wasting money. Do you think Kim gets more heat because she shares so much of their life of excess on a regular basis? The designer clothes, the expensive cars, etc. Where Jordin doesn't inundate her followers with Tweets and photos of that nature, so they weren't as inclined to hurl nastygrams at her? Why do you think there's such a difference in the followers/fan base messages? Did you get anything fun (and possibly more frugal) for Valentine's Day? 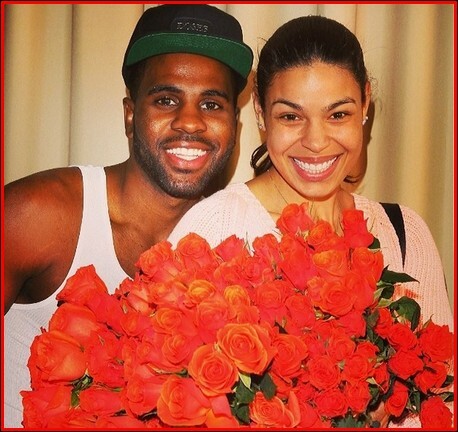 Jordin shared, "Completely overwhelmed by 10,000 roses today from, my love, @jasonderulo. They're so beautiful! Omg. #supersweettweet ".